Download our free guide to understand the implications for security, code visibility, team culture and more. We share the lessons that we’ve learned, from giving our team ownership to removing barriers to create efficiency. 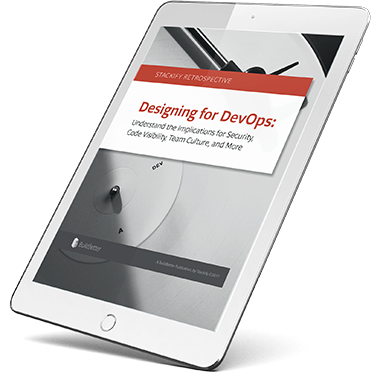 We look into the growth of the DevOps movement, what it looks like when you lay out all the responsibilities across Operations and Development, and how your security can increase. We hope this guide provides you with practical and useful ways for you and your team to deploy with more confidence. • Is Your Developer Team Designing for a Disaster?